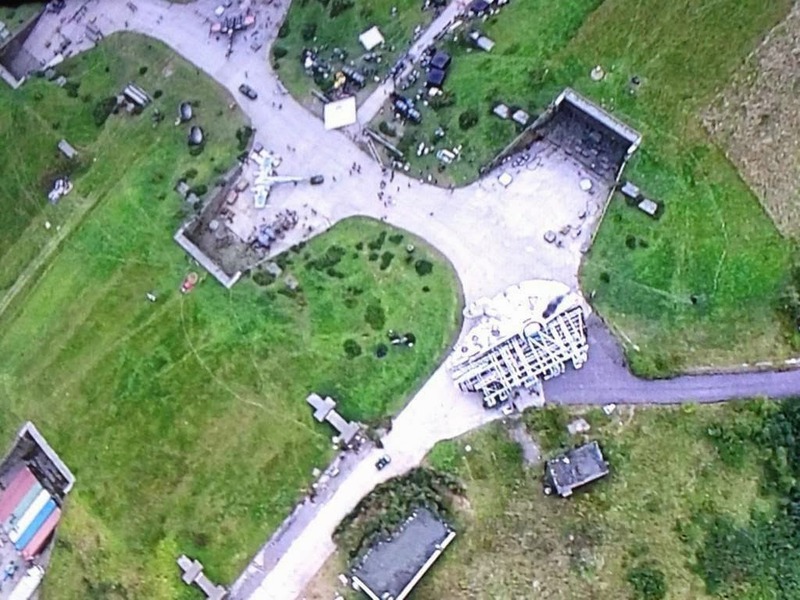 The trend of flying over Greenham Common Park in the UK to get pictures of the Star Wars Episode VII set continues! The team over at MakingStarWars.net has gotten their hands on another picture of the set, this one, appears to feature a black X-Wing, something we have not seen in the Star Wars films before, as well as the Millennium Falcon and another X-Wing as seen in earlier pictures! If you look in the top left-centre area, you can see the black X-Wing. Is this some sort of stealth fighter? Or perhaps it's colour indicates its squadron. These are the things we'll find out on December 18, 2015. Catch on this story! Check out the first picture, second picture, and BBC report and drone fly over! Black X-Wing's are in Wraith Squadron, their squadron leaders is Wedge Antilles (the only pilot to survive two Death Star runs). Cut the picture at the Falcon split and it looks like an Imperial recon shot. It's a Stealth-X. Black, a little smaller and sleeker than the old X-Wings. Dope.